Leadership – United Way of Central Alabama, Inc.
Our success and ability to help people in our community depends on the support of enthusiastic and committed volunteers. Our board members play a vital role in our vision, mission and policies, which help set the course for driving positive change within Central Alabama. Mallie is a member of a landmark family of philanthropy in Alabama. She attended schools in Birmingham and went on to obtain a degree from Hollins University in Roanoke, VA with a B.A. in Social Sciences. After graduation, she returned to Birmingham equipped to continue a multi generational tradition of improving the community. 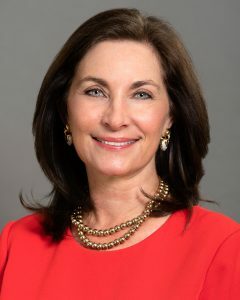 She has held volunteer leadership positions with the Alabama Ballet, Birmingham Museum of Art, Children’s of Alabama, Grace House, Ronald McDonald House and the YMCA of Metro Birmingham and Glenwood Autism and Behavioral Health Center co-founded by her parents Glenn and Mallie Ireland. She has been a United Way volunteer for almost two decades, and she is a member of its highest philanthropic Society, Tocqueville. She most recently served as vice chairman of the board and Chair of UW’s Legacy Gifts. She has a passion for bettering our community and a dedication to doing it through United Way of Central Alabama. Mallie has four adult children and 13 grandchildren. Jeff Stone is Executive Vice President at Brasfield & Gorrie, one of the nation’s largest privately held construction firms. He and his wife Linda are members of the Million Dollar Legacy Circle and have been members of the Tocqueville Society since 2008. He led the Tocqueville division in the 2015 fundraising campaign, adding more than 100 new members to the society. Dre w Langloh has dedicated his career to the mission of serving the underserved through the United Way movement. With his degree in Social Work from the University of North Carolina, at Greensboro, Drew joined the United Way movement in 1988 in Greensboro, NC. In 1991, he moved to Birmingham as VP Resource Development for United Way of Central Alabama and completed his MBA at Samford University. He left Birmingham for Baltimore in 1999 to become the Senior Vice President, Resource Development and Marketing for United Way of Central Maryland and in 2004, became President and Chief Professional Officer, United Way of Delaware. 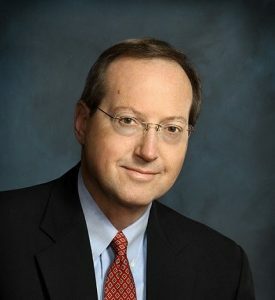 He returned to Birmingham in 2008 as President and CEO, with a vision to elevate UWCA to a top model for making lasting changes to complex problems. To solve today’s problems, he believes it will take non profit agencies, municipalities, corporations, foundations, academic, and faith communities working together with a common focus.